And here we’re – the 300th post! I never thought I would reach 100 posts, let alone 300. On my 100th post (actually 101st), I created a small hack for “True” Vancian Magic use in Pathfinder. I let the 200th post go by without anything special. Let’s change that. What I’m going to do here is actually to start a series of posts around one of my favorite horror/fantasy short stories – Arthur Machen’s The White People. 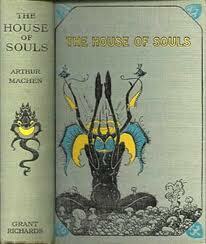 Machen was an inspiration for many other writers, mainly H.P. Lovecraft. However, The White People in my opinion goes beyond a mere short tale. I see it more as a trove of treasures for any Gamemaster to pick. Many classic elements of horror/fantasy came out of it, and the curious thing is that Machen himself never explains most of the original weird stuff he mentions. In fact, I believe that the mystery, the hint that there’s a lot more “out there” is the true allure (and terror) of The White People’s small but fascinating legendarium. It has to do with that old “dragon rule”. The White People tells about the opinions and ideas of the reclusive scholar Ambrose about the nature of good and evil, and the mysterious findings within a tome/diary called the Green Book (Sanity 2d6/1). 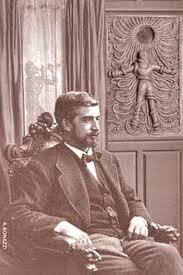 I’ll try to address the mysterious subjects brought up by Machen, dedicating a post to each. I’ll purposely ignore the elements created by later authors (like Lovecraft) and RPG writers (like Pathfinder), instead suggesting new takes on the Machen’s material. Let’s see if it works. For the first post on this (hopefully weekly series): On Good and Evil. "SORCERY and sanctity," said Ambrose, "these are the only realities. Each is an ecstasy, a withdrawal from the common life." He then goes explaining his worldview about good and evil – True Good and True Evil – not as moral, social or philosophical stands, but as absolute and polar forces. Evil is not merely the absence of Good or of that which was purged from Good (the classic “Fall” or “Original Sin” an element common to many religions and mythologies), but an opposite, equality powerful and – the catch – “pure” or “perfect” state of existence. "Yes," he went on, "magic is justified of her children. There are many, I think, who eat dry crusts and drink water, with a joy infinitely sharper than anything within the experience of the 'practical' epicure." "You are speaking of the saints?" "Yes, and of the sinners, too. I think you are falling into the very general error of confining the spiritual world to the supremely good; but the supremely wicked, necessarily, have their portion in it. The merely carnal, sensual man can no more be a great sinner than he can be a great saint. Most of us are just indifferent, mixed-up creatures; we muddle through the world without realizing the meaning and the inner sense of things, and, consequently, our wickedness and our goodness are alike second-rate, unimportant." I don’t know about you, but this entire idea sounds to me like what the Good and Evil Alignments of D&D strived to be and always fell short of explaining it. In D&D/Pathfinder, Good and Evil are real, absolute poles of existence; they’re planar locations that exist outside of men’s souls. "And what is sin?" said Cotgrave. Sin (or Evil) is then equaled with profanation, the unnatural – the corruption of reality itself. It’s not destruction, that’s Chaos (though Chaos isn’t only about dissolution). Note that it’s also not simply the supernatural or the fantastic. A gryphon or a dragon is a supernatural/fantastic creature, but the stones of a temple crying blood and screaming all the blasphemies hidden in the hearts of its worshippers – that’s Evil. It’s the corruption, the perversion of Nature (or of Purpose if you will). Even a dragon can be corrupted. Actually, even Chaos could be corrupted. That’s True Sin. “(…) Then the essence of sin really is----"
"In the taking of heaven by storm, it seems to me," said Ambrose. "It appears to me that it is simply an attempt to penetrate into another and higher sphere in a forbidden manner. You can understand why it is so rare. There are few, indeed, who wish to penetrate into other spheres, higher or lower, in ways allowed or forbidden. Men, in the mass, are amply content with life as they find it. Therefore there are few saints, and sinners (in the proper sense) are fewer still, and men of genius, who partake sometimes of each character, are rare also. Yes; on the whole, it is, perhaps, harder to be a great sinner than a great saint." By this logic, Saint Constantine, who killed thousands, was Good, while Dr. Frankenstein, a humanist, was Evil – if we classify both characters in Alignment terms. Good and Evil here are left with less subjectivisms, becoming good sources of conflict and – consequently – great sources of allegiance for campaigns and fantasy settings. The best part, for me at least, is that they can now be intermixed with Law and Chaos, generating an extra layer of drama to the game. For example, it’s easy to see why Elves can be Chaotic but Good. Actually, if the Gamemaster wants to really radicalize, this new definition of Good and Evil can be a real good excuse (no pun intended) for explaining why 99% of the world is actually Neutral. As told by Ambrose, it’s hard to be truly Good or Evil. “(…) Holiness requires as great, or almost as great, an effort; but holiness works on lines that were natural once; it is an effort to recover the ecstasy that was before the Fall. But sin is an effort to gain the ecstasy and the knowledge that pertain alone to angels and in making this effort man becomes a demon. I told you that the mere murderer is not therefore a sinner; that is true, but the sinner is sometimes a murderer. Gilles de Raiz is an instance. So you see that while the good and the evil are unnatural to man as he now is--to man the social, civilized being--evil is unnatural in a much deeper sense than good. The saint endeavours to recover a gift which he has lost; the sinner tries to obtain something which was never his. In brief, he repeats the Fall." It’s an amazing concept, one that’s not new to roleplaying games (check the dark, but excellent, Kult LINK). Lamentations of the Flame Princess comes pretty close to this idea with its “natural” divine magic and “unnatural” arcane magic. In fact, LotFP show to us that, while engaging, this is however a tenuous concept (if analyzed closely). It’s tempting to just mix Evil with Chaos and Good with Law all over again, but I still believe that The White People offers to best take for a Good and Evil definition on D&D/Pathfinder. Actually, there’s a second “funnel” that you can use to better define Good and Evil along the lines discussed above: scale. Try to see Good and Evil more as states of existence than world-consuming forces. Law and Chaos are about the structure of the Multiverse, while Good and Evil are about its state of being. One can reach enlightenment in D&D/Pathfinder through pure Good or absolute Evil. This also means that Good and Evil are, ironically, necessarily personal (the Devil is in the details). Evil does not aim to “rule” entire worlds and planes. It is a lot more interested in perfectly corrupting YOU. Between having your soul or devastating an entire nation, True Evil will always choose the former. The same holds true for True Good (after all, the end doesn’t justify the means). This idea might help you when defining how your paragons of Good and Evil act. It’s also a good parameter to act really alien and weird with your outsiders (“But why does that Solar is letting all the villagers day just because of this damn child?!”). Next Green Book topic: Aklo Letters! Shadow Planes and Pocket Worlds is a small PDF with bonus material for Dark Roads & Golden Hells. Like its title indicates, it presents planar locations and mechanics for the Gamemaster perusal. The location described is the demiplane of Mora, the Children’s Table, a forlorn island with a surreal Brothers Grimm (nightmarish) flavor. The place is ruled by the myriad manifestations of a chthonic female entity imprisoned due to her crimes against children. 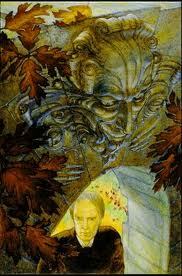 Hags, bogeymen, harpies and other terrors are spread accost Mora, slaving children from other worlds. The entire demiplane can be used for an adventure or even an entire campaign, with each location providing various ideas for quests and challenges. Overall, Mora is excellent, and almost lyrical in its descriptions of adventuring locations, like the Shadowbox and the Isle of Rood. It shows what could have happened if Planescape and Ravenloft decided to have a baby. The Children’s Table leaves you wanting more (in fact I got the feeling that the text ends quite abruptly). The next location is actually just a 1 page game fiction. I’m not usually a fan of them and this one was no exception. The fact that the fiction also reads like the introduction to a proper description text of a Plane of Gears (that doesn’t exist in this product) doesn’t help. The next part of the PDF presents new planar hazards, traps and afflictions. I really liked them. The authors managed to cleverly mix cool ideas/concepts with simple mechanics. Things like the alephs (or the Aleph), non-Euclidian angles or even dead stone are great add-ons to any planar (or non-planar) adventure. I also really enjoyed the various effects taken from myths (with playable mechanics), stuff that you usually don’t see in RPGs, like food from the Underworld, infinite pits, the fact that any oath “sworn by the Styx” and henceforth broken has a 50% chance of cursing the subject, or metaphysical hazards like Abstraction. These various mechanics are in fact so damn cool that they should have appeared in Dark Roads & Golden Hells. The new magic items are top-notch in terms of flavor; my favorite is the cloak of fallen feathers (although the entire idea of the remnant pearls is also awesome). Shadow Planes and Pocket Worlds has 2 new temples (imaginary friends and she) and 3 NPCs (Arachne, Cicerone the Upfallen and Lady Lilliam). This PDF is worthy because of the new demiplane (Mora) and the planar hazards alone. You can see the magic items and the bestiary as small bonus. The new planar stuff can be adapted to all kind of adventures (Lovecraftian terror, Underdark, wizardly demenses and temples of gods of the dead are just a few examples) and the various otherworldly substances described make up for perfect relics and one-use artifacts (like a gallon with waters of the Lethe). And all of it for just 2.99. Perfect. 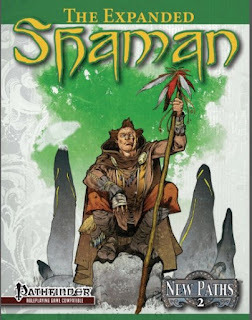 The second entry on Open Design’s New Path series is the Expanded Shaman. This new class for Pathfinder was introduced on Kobold Quarterly #21 as a new spontaneous divine spellcaster. You can say that the Shaman is to Druid as the Oracle is to the Cleric. Besides, the concept of a primitive spellcaster that communes with spirits is so universal that I always found weird that it hasn’t showed up before in a Paizo product. Mechanically speaking, the Shaman mirrors the Druid, including using the same spell list (although limited by the Spells Known to each Shaman). Instead of an animal companion, Shamans gain an Animal Spirit Guide (with its own progression table). It gains the ability to commune with spirits (a.k.a. divinations), besides other neat tricks like the incorporeal subtype and fast healing – all at higher levels. Like most Pathfinder classes, the Shaman has a plethora of special abilities that must be chosen, easily customizing each character. These abilities are described by the Totem Secret class feature and cover things like blood divination, speak with animals, spirit sight (including seeing in the astral and ethereal planes), summon spirits etc. Shamans also gain a limited amount of healing and can wild shape. Other iconic powers associated with the archetype are spirit dance (with booster the Shaman’s spells) and vision quest (treated here as astral projection). Curiously, vision quest isn’t a benchmark ability (it’s gained at 19th level) and the Shaman doesn’t gain a new trick at 20th level, besides the ability to use his spirit dance unlimited. Expanded Shaman doesn’t stop at the class, providing new class archetypes: Elemental Shaman, Primal Shifter and the classic Witch Doctor. We also get 3 new spells, 4 feats and a personalized character sheet for your wild shape and animal guide. My augury? 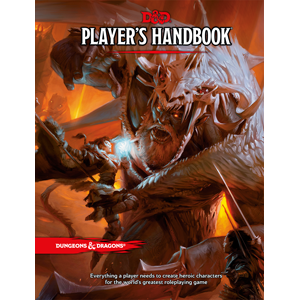 The class is really traditional, following a “by the number” rules structure and refereeing to spells well consolidated in Pathfinder/D&D 3.5 – and I must say that, in this case, I loved it! It’s amazingly easily to use, to integrate in any game and it doesn’t conflict with any cosmology (shamans usually come with a “Spirit World bonus plane”… something that not all Gamemaster are found of). Finally: it plays like other Core and Base Classes. In other words: it feels like something Paizo would have written. Do I need to say more? Last week I decided to finish my Chronicles of the Seventh Moon campaign. The main reasons were the fact that my group lives 300 miles away (I moved two years ago) and that, recently, one of my players moved to another (yet farther) location. Making the entire party meet is now something hard, particularly given the way the campaign was originally structured. I started Chronicles of the Seventh Moon 4 years ago, using D&D 3.5. At the time I was heavily in the mood of a previous Legend of the Five Rings campaign (that lasted 9 years). In other words: a game deep in rival scheming factions, shades of grey, lots of NPCs and lots of setting minutiae. I really loved this metaplot-heavy style of running games (and, most important, my players enjoyed it). Usually I do this by creating progressively big event-based scenarios, which lots of detailed and fully-fleshed NPCs, each with his own agenda. In this mix I always add bizarre customs and strange societies (in Chronicles I basically took the various “D&Disms” and inserted them as fully social aspects of a faux-Medieval/Early Modern society). Then I throw my players in the cauldron and let things boil up. It requires a good deal of game preparation (from my part) and attention to details and NPCs (on the part of the players). Though, after a few sessions of presentation, each adventure runs really smoothly. I must have run games this way for the past 10-12 years. However, after moving out of town, our games became sporadic and all those rich details and living NPCs turned into a problem – we had to spend an entire week before the scheduled game remembering all the facts, diplomacy and events. Preparing these games was also troublesome, as I was forced to read again all my notes (after all, between game sessions months would pass by). Finally, I realized that my players weren’t anymore paying attention to the campaign setting (neither were they investing into the game besides coming to each session). They just wanted to play my games, not to be an active part on the world-building aspect. All in all, it seemed that it would be easier for both of us to stop things. I’m mentioning this because I’m impressed with my game tastes this day. Because of the OSR I became interested in the first editions of D&D and in the “Old School” way of running things. Improvisation, “light” settings/adventure structure, and an open “sandbox” approach, became my “mandatory” aspects. Coincidentally, these types of adventures/campaigns were a lot easier to run over long distances with a group that you meet only once every 4-5 months. In fact, I tried to lure my old group into the OSR. First with the D&D Next “Caves of Chaos” playtest. 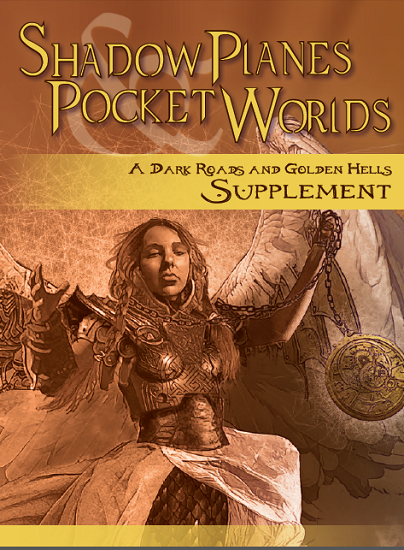 Then, this weekend, I run their first OD&D (the Little Brown Books themselves) game, using Lamentations of the Flame Princess’ Tower of the Stargazer introductory adventure. It was fun watching them react in horror to terrible Ability Scores rolls (3d6 in order! ), only to learn later how little these numbers restricted them. It was also rewarding to see their wonder at the value of Charisma. Three players rolled really high Charisma scores (almost Paladin-worthy!) and took advantage of the situation to hire hirelings. They not even were aware of the concept of hirelings and henchmen before this session. They quickly contracted lots of them and I must say that half of the adventure’s fun was their relationship with their hirelings (a memorable event was when the Cleric’s hireling succeeded at a Loyalty check, keeping a portcullis raised while half the party faced a giant spider). Unfortunately, while the game was definitely fun, my group didn’t bought OSR’s premise. No, not one player told me explicitly that, but I noted their reactions when I mentioned my desire of running more OD&D games. They loved the game session, but for campaigns they still want Pathfinder’s massive amount of character customization and optimization. I see now that this aspect is now a mandatory RPG component for them. I pity, but I still have my hopes. Jeff’s Gameblog posts – “Folian Mythos” and “Internation League of Fiend Foliasts” are the responsible, though I especially liked Blood of Prokopius’ ideas on the subject – using a Fiend Folio-only world as an alternative material plane is something I’m tempted to try. It would be interesting to throw the usual D&D party in a bizarre and alien Fiend Folian world (maybe for a Barsoom-like campaign). 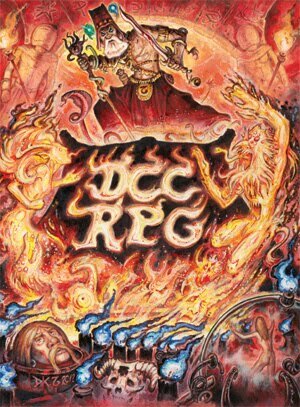 What are assumptions about how to play an OSR adventure that you think might not be commonly held as desired?